Barcelona is like a giant food market. 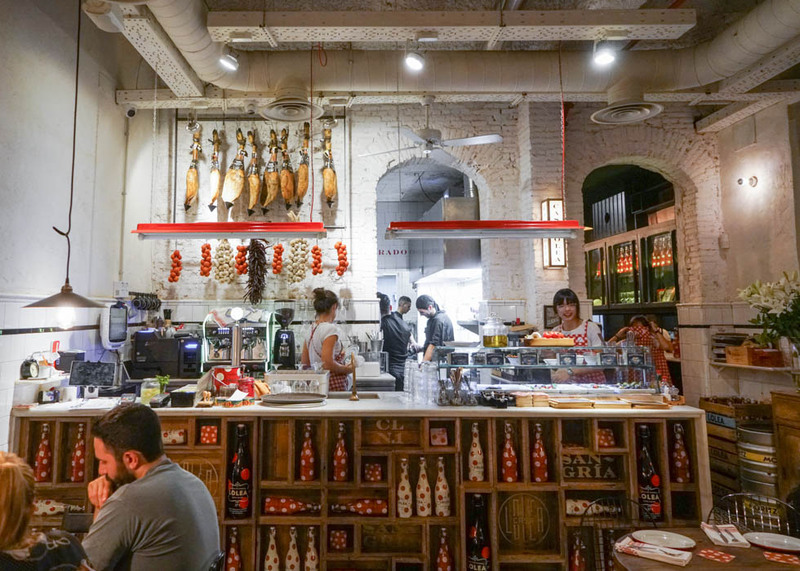 Their tapas culture shows the variety of foods to eat. One of the must-eats in Barcelona is jamons and sangria. 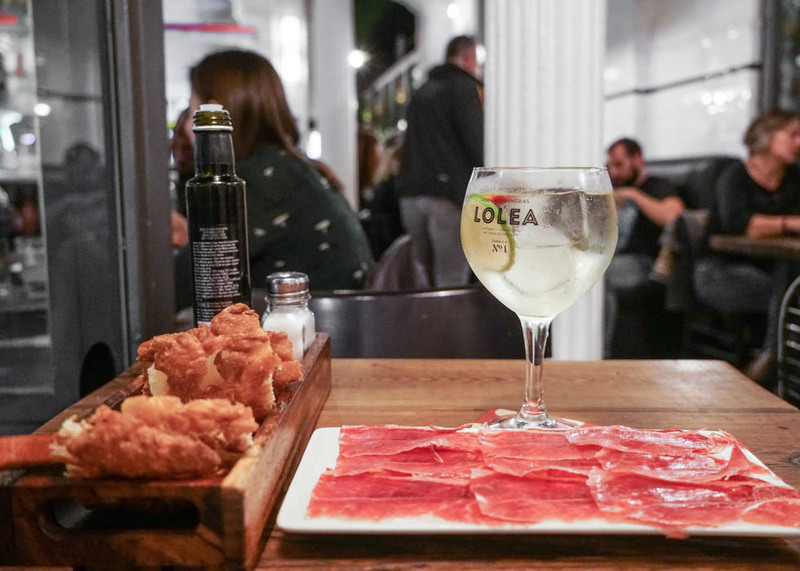 There are many tapas and sangria bars, and you might wonder where to go to try the best sangria and tapas in Barcelona. 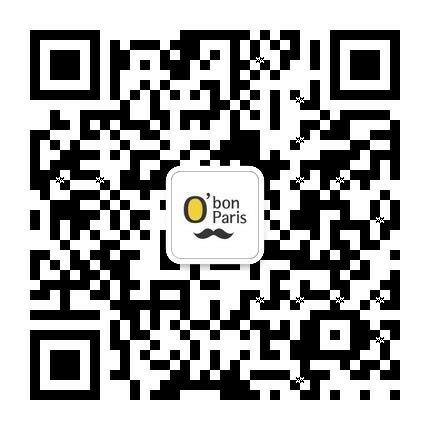 O'Bon Paris introduces Casa Lolea, a famous sangria and tapas bar among locals and also tourists from all over the world. 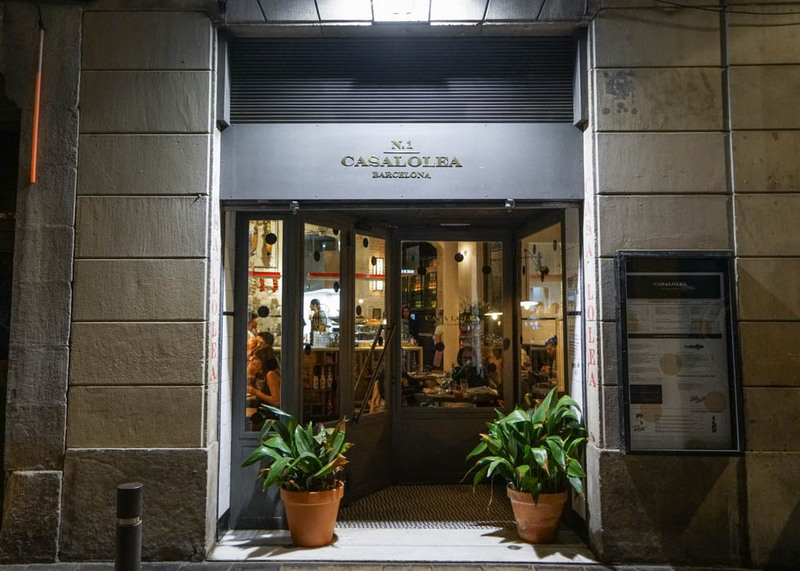 Pass by Barcelona Cathedral, and Musica Catalunya, and soon you will reach Casa Lolea. It is not far from the center at all, but located on a small and quiet street. Inside the restaurant has lively and friendly atmosphere, but not noisy. 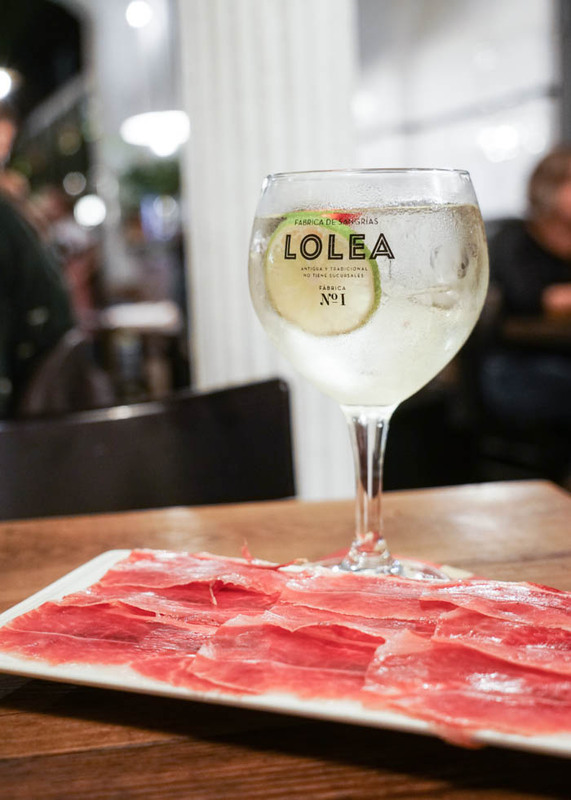 Casa Lolea is a famous Sangria brand, which opened the bar like this where you can enjoy a glass of sangria and various tapas at the same time. 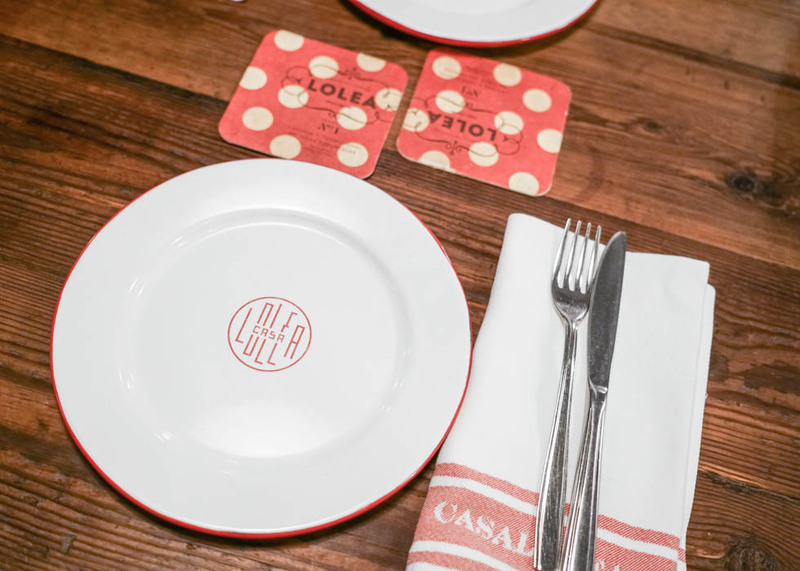 This cute red background with light yellow dots on it is a symbol of Casa Lolea. You can find the symbol everywhere on plates and even on aprons of friendly staffs. The menu of Casa Lolea is varied to menu of Sangria, tapas menu, and today's menu. From the basic sangria with red wine as a base, to white sangria and rose sangria. If you are not an expert on sangria, do not hesitate to ask for helps to staffs. On tapas menu, there are salads, cheese, jamons, and various traditional Spanish tapas. Using Mediterranean Muscat grape as a base, it is softer and lighter than normal sangria made of red wine. A hint of vanilla blends and citrus aromas of lemon and orange makes it more attractive. You can order sangria as a glass or bottle, and one glass costs 4.5 to 5 euros. When you order a bottle, you can bring their cute bottle home. 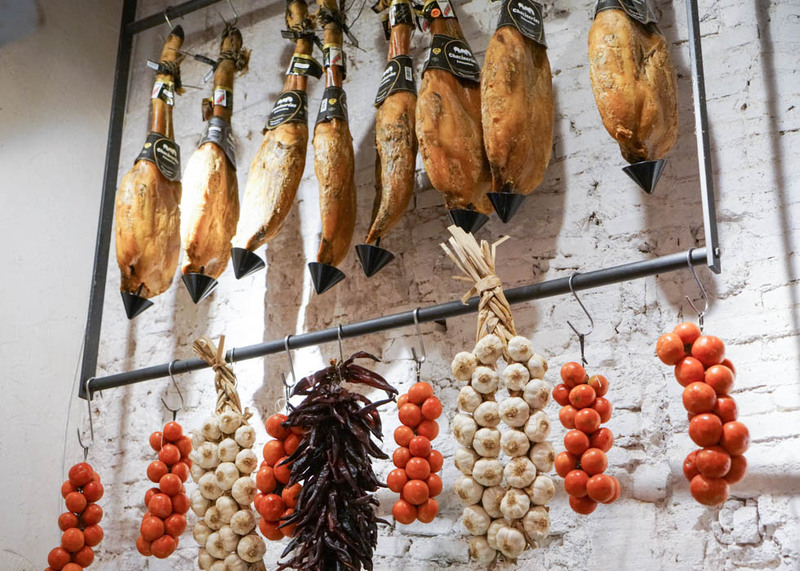 A must-try food in Spain, jamon! Jamon is Spanish dry-cured ham. Iberian bellota ham is especially famous to be a high quality and delicious. If you feel that jamon is too salty or too chewy, that means it's not the best one. Iberian bellota jamon at Casa Lolea was not salty at all even when it is eaten alone, and was soft enough to melt in the mouth. It goes perfect with a glass of sangria. Pan con tomate means 'bread with tomatoes' in Spanish. In most of the restaurants in Barcelona, you can easily order pan con tomate as an appetizer. 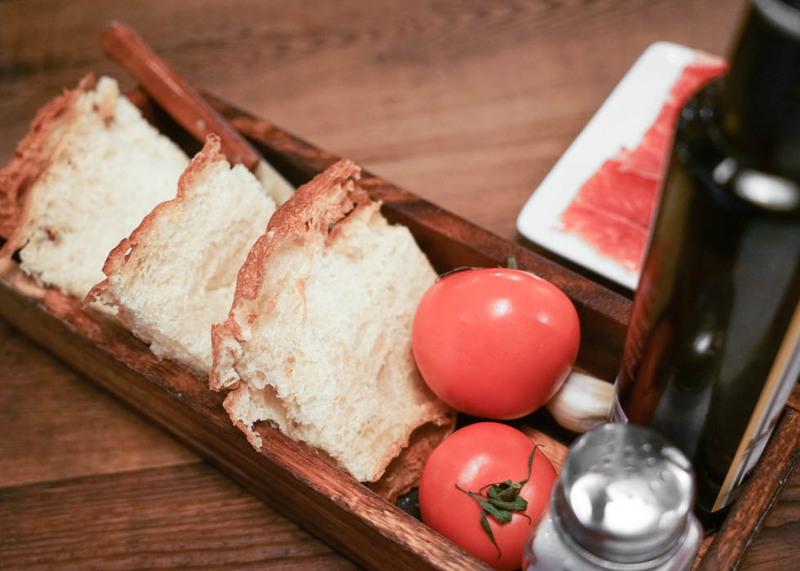 Normally, they serve you with the complete pan con tomate, but Casa Lolea serve you bread, tomatoes, garlics separately so that you can make it on your own. First, peel the garlic and rub it on the bread. Cut the tomato in half and gently squeeze it on bread. If you want, you can add some olive oils and salts. As you make it on your own on the table, it is much crispier and tastier. Great taste, friendly and cozy atmosphere, and reasonable price. If you are visiting for dinner or late dinner, you must make a reservation in advance. If you are more than two, ordering different tastes of sangria and different kinds of tapas will make your experience here even greater.